Our parish family is a community, a living mosaic. Our individual contributions are needed to make it complete, and that said, we know it will always be changing, as individual portions are transformed and new parts are gladly welcomed. 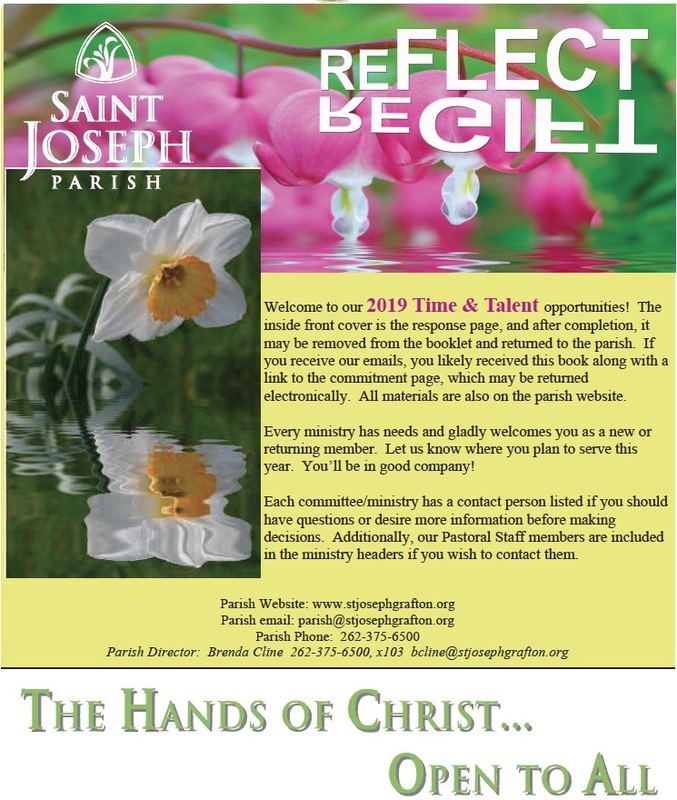 The 2019 Time & Talent brochure, with a download link found on the right side of this page, focuses on opportunities for the shared gifts and service which breathe life into our mission. Family and friends often serve together, and on the journey, make new friends. There are plenty of opportunities which do not require meetings and only gather as needed. If you have life and/or work experience to share, we are eager to hear from you! If you have a gift not tapped in the book, let us know! There is a perfect spot for you. Our St. Joseph Parish family and those we serve are so very grateful for the generous giving of every sort, and pray that if you’ve served in the past, you will continue. If this will be your first year or you’re thinking of making a change, please look through this brochure, pray, listen, and with intention, respond with your God-given gifts. You are invited to print the response sheet from the front page of the brochure and, after completion, return it in the Offertory at any Mass or to the parish office. 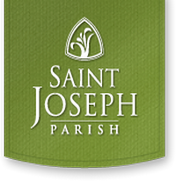 Feel free to contact our Stewardship Office at 375-6500, x121 or ldelorit@stjosephgrafton.org.